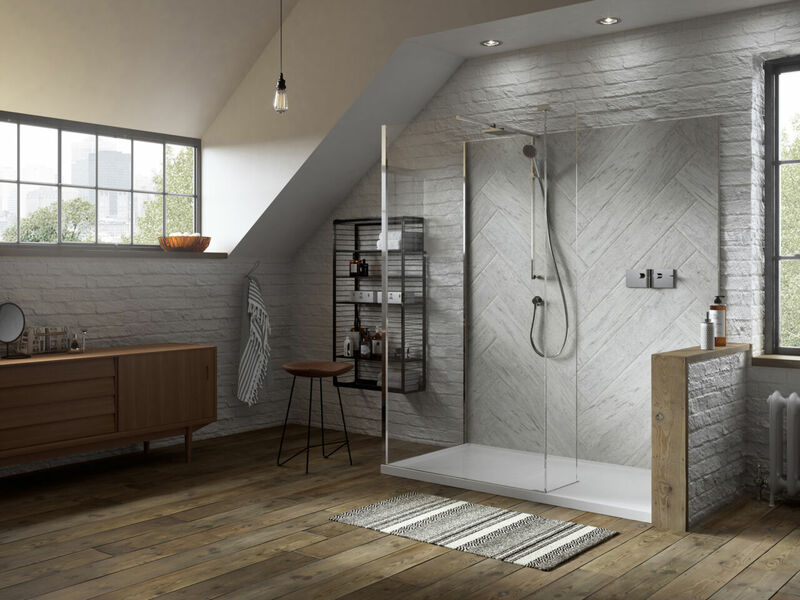 The pinnacle of Walk-In Shower Enclosure design, the Boutique Walk-In for Corner excels in form and function. 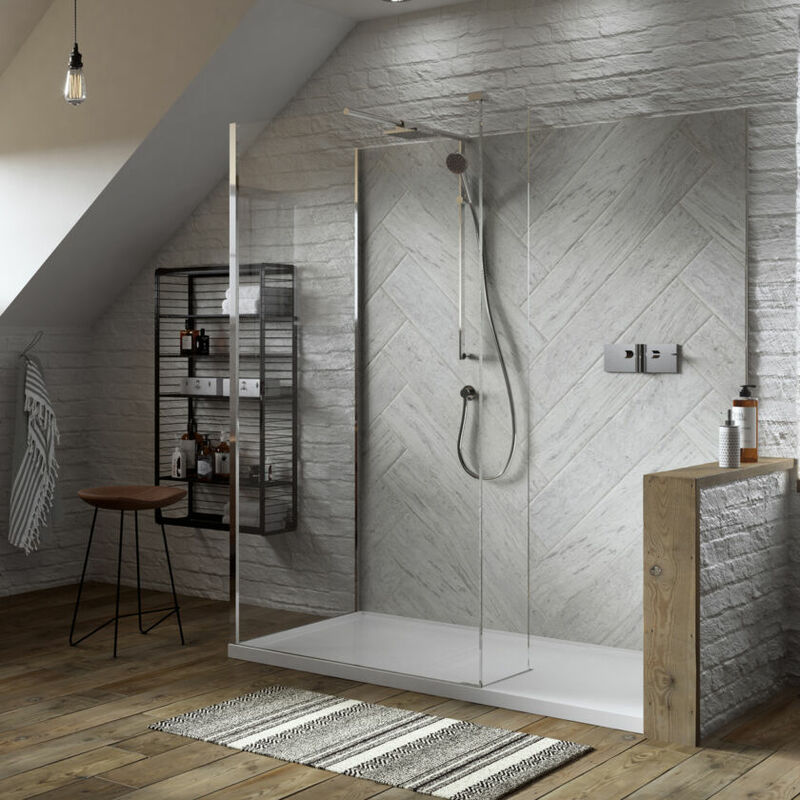 An integrated Shower Tray is supplied as standard with an innovative junction between the Glass and Shower Tray, ensuring complete water retention and a seamless appearance. 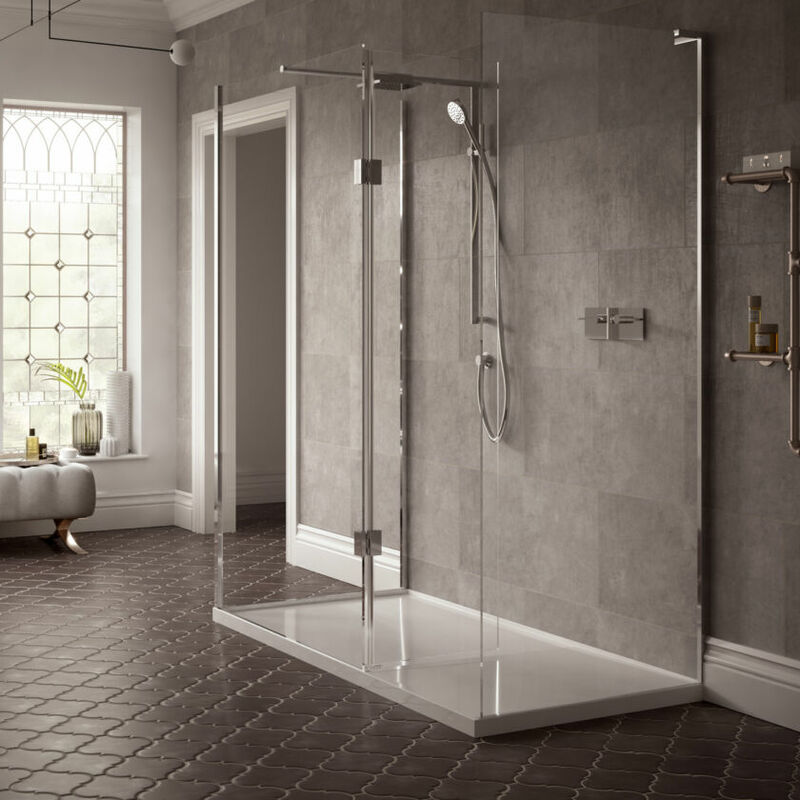 For more compact spaces, it is possible to add a Hinge Panel for an extra layer of splash and spray protection, luxurious Matki Elixir Blade Brassware can also be built into the setup. Some spray may extend beyond the entrance; Matki recommend tiling the adjacent area.